Our product range includes a wide range of sofosbuvir tablet, daclatasvir tablets, armotraz tablet, hepcvir l tablets, cytomid tablet and cyclophosphamide injection. 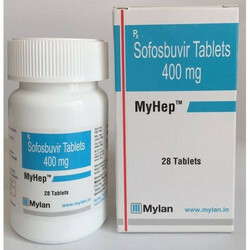 We Motwani Pharmaceuticals are highly engaged in supplying of Sofosbuvir Tablet. 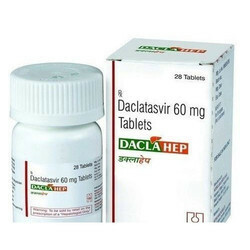 We Motwani pharmaceuticals are highly engaged in supplying of Daclatasvir Tablets. 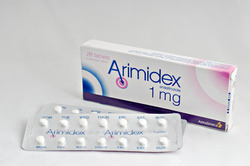 We Motwani pharmaceuticals are highly engaged in supplying of Armotraz Tablet. 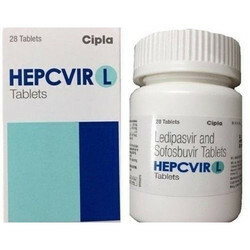 We Motwani pharmaceuticals are highly engaged in supplying of Hepcvir L Tablets. 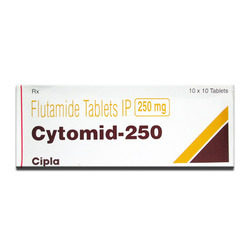 Cytomid tablets 250mg are used to treat prostate cancer which is in an advanced stage and is a palliative treatment for advanced prostatic cancer in previously untreated patients or those who have not responded stopped responding (become refractory) or cannot tolerate other hormonal treatments. This medication is an antineoplastic agent, prescribed for many types of cancers like lymphatic cancer, cancer of white blood cells and plasma cells, etc,. It slows or stops the growth of cancer cells in your body. Cyclophosphamide harms cancer cells causing their death. It lowers the bodys harmful response to diseases of the immune system. 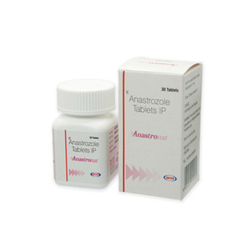 Anastrozole is used in the treatment of early-stage breast cancer in post-menopausal women. 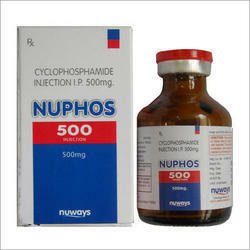 It is used in treatment of advanced breast cancer in post-menopausal women previously treated with drug tamoxifen. 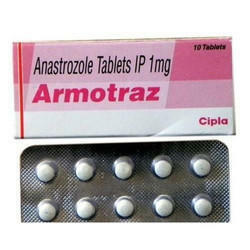 Anastrozole is an aromatase inhibitor. 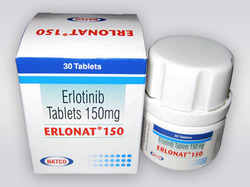 It works by lowering blood estradiol concentrations, decrease the size and growth of tumor. 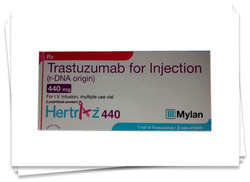 Hertraz is indicated for the treatment of positive metastatic breast cancer and is available in two strengths, 440 mg and 150 mg. Mild allergic reaction with first infusion may include Fever, Headache, chills, nausea, Vomiting, Shortness of Breath. Note: Hertraz is a prescription drug and used under medical guidance and advice. Advanced soft tissue for people who have had treatment with ifosfamide and an anthracycline chemotherapy. Ovarian cancer that has come back – in combination with another chemotherapy. 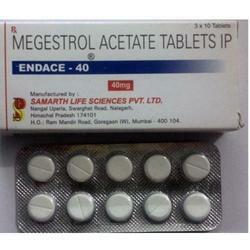 It is used in increased prolactin levels and acromegaly. It treats increased prolactin level (hyperprolactinemia) by decreasing the amount of prolactin in the body which helps in fertility and period problems. 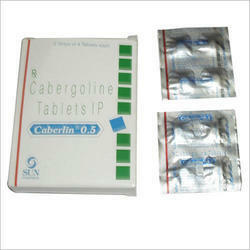 Caberlin 0.5mg tablet treats acromegaly by decreasing the amount of growth hormone in the body. Common side effects: Vomiting, Nausea, Breast pain, Constipation, Dizziness, Fatigue, Pain during periods, Heartburn, Hot flashes, Nose bleed, Tingling sensation of extremity. 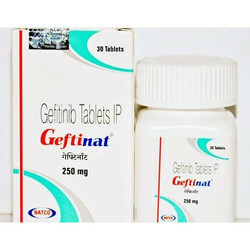 We Motwani pharmaceuticals are highly engaged in supplying of Geftinat Tablet. Which belongs to a class of medications called immunomodulatory agents. 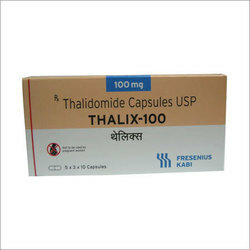 Thalix is used s for treating and preventing skin inflammation in patients who have moderate to severe erythema nodosum leprosum (en: episodes of skin sores, fever, and nerve damage that occur in people with Hansen's disease leprosy). 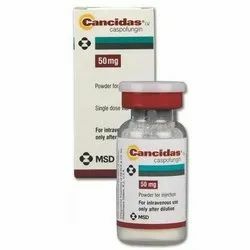 Endace is a progesterone derivative, prescribed for breast cancer, uterine cancer, loss of appetite, physical wasting, or unexplained significant weight loss in patients with diagnosis of acquired immunodeficiency syndrome (AIDS). It works in the brain to help you eat more. It may lower protein breakdown. If this drug is used for cancer, it changes other hormones and their actions. It may act right on the cancer cells. 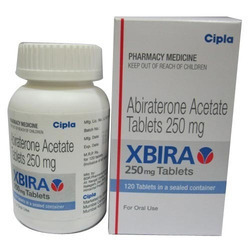 Abiraterone acetate is used for treating a certain type of prostate cancer that has spread to other parts of the body. It is used along with prednisone, a steroid. Abiraterone is a type of hormone therapy. 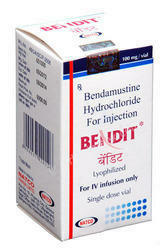 Bendit contains bendamustine and is effective in treating chronic lymphocytic leukemia (cll) as well as non-hodgkins lymphoma. It functions by damaging the DNA of the cancer cells and hence resulting in the growth of the cancer cells. 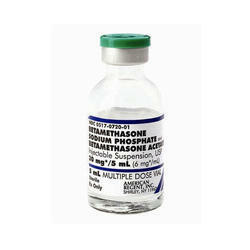 Betamethasone is a steroid medication. It is used for a number of diseases including rheumatic disorders such as rheumatoid arthritis and systemic lupus erythematosus, skin diseases such as dermatitis and psoriasis, allergic conditions such as asthma andangioedema, preterm labor to speed the development of the baby, Crohn disease, cancers such as leukemia. It can be taken by mouth, injected into a muscle, or applied as a cream. When given by injection, anti-inflammatory effects begin in around two hours and last for seven days. Serious side effects include an increased risk of infection, muscle weakness, severe allergic reactions, and psychosis. Long term use may cause adrenal insufficiency. Stopping the medication suddenly following long term use may be dangerous. The cream commonly results in increased hair growth and skin irritation. Betamethasone belongs to the glucocorticoid class of medication. 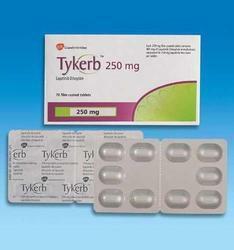 TYKERB is a prescription medicine used another prescription medicine for treatment of people with advanced or metastatic breast cancer. Tumors overexpress, and have received prior therapy including an anthracycline, a taxane, and trastuzumab. Tumors are positive make a large amount of a protein called human epidermal growth factor receptor-2. Calutide Tablets - Product Information Calutide is used in the treatment of advanced prostate cancer in combination with LHRH analogue therapy. It is available in a blister pack of 10 tablets. 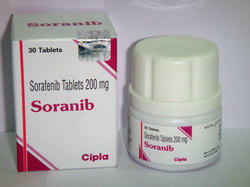 It is a tyrosine kinase inhibitor, prescribed for metastatic non-small cell lung cancer, and pancreatic cancer. 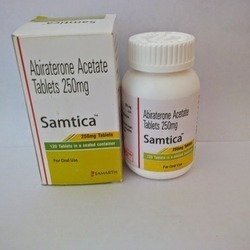 Samtica Medicines offered comprise Abirateone Acetate tablets 250mg and is for oral use. 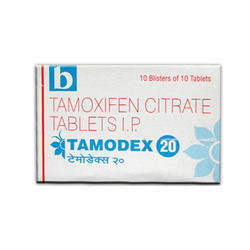 An active ingredient of Tamodex is Tamoxifen which is an antagonist of the estrogen receptor in breast tissue. It has been the standard endocrine (anti-estrogen) therapy for hormone-positive early breast cancer, although aromatase inhibitors have been proposed for postmenopausal women. Some breast cancer cells require estrogen to grow. Estrogen binds to and activates the estrogen receptor in these cells. Tamoxifen is metabolized into compounds that also bind to the estrogen receptor but do not activate it. Furthermore tamoxifen prevents estrogen from binding to its receptor. Hence breast cancer cell growth is blocked. Uses of Calutide Tablets Calutide is used in the treatment of advanced prostate cancer that has spread to other areas of the body. It is prescribed in combination with LHRH analogue therapy. 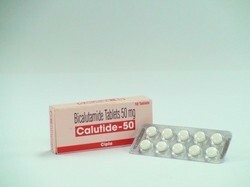 Calutide is used also as monotherapy for early stages of prostate cancer. Dosage take once a day one tablet of Calutide at the same time each day either in the morning or evening. Take it with or without food. Take it regularly to get the most benefit from it. Caspofungin is used to treat a variety of serious fungal infections. It is often used in patients who cannot use or do not respond to other antifungal medications. Caspofungin belongs to a class of drugs known as echinocandins. It works by stopping the growth of fungus. Caspofungin is an antifungal medicine that fights infections caused by fungus. Caspofungin is used to treat fungal infections of the stomach, lungs, esophagus, or other internal body areas. Caspofungin may also be used for purposes not listed in this medication guide. These tablets are specifically formulated for the treatment of primary kidney cancer and major liver cancer. Furthermore, we sourced these tablets from the reliable vendors of the industry who utilize optimum quality chemical substances in the processing process. High effectiveness, accurate composition, purity, and safe consumption are the quality attributes, which make these tablets highly demanded in the national as well as international market. 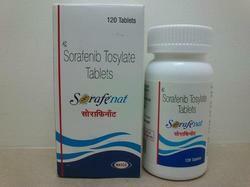 Sorafenat interferes with the growth of cancer cells and slows their growth and spread in the body. It is also used to treat liver cancer. Stop using it and get emergency medical help if you have any of these signs of an allergic reaction: hives; difficulty breathing; swelling of your face, lips, tongue, or throat. 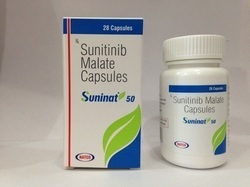 Suninat is a cancer medicine that helps the body slow down the growth and reproduction of certain cells, including tumor cells. It is used to treat certain types of advanced or progressive tumors of the digestive system, the pancreas, or the kidneys. Cancer cells have abnormal rates of growth and multiply at rates that are different than normal cells. 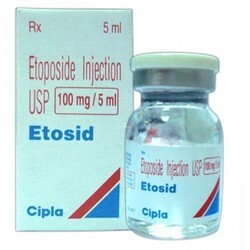 This Etosid Injection is an anti-cancer agent, prescribed for lung cancer and testicular cancer. It slows or stops the growth of cancer cells. Etosid harms cancer cells causing their death. 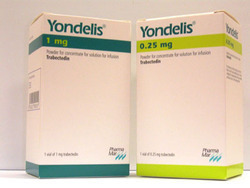 Side Effects of Etosid Alopecia GIT disturbances, nausea, vomiting, diarrhoea, thrombophlebitis, neuritis, myelosuppression. Usage of EtosidSmall cell lung cancer. Looking for “Anti Cancer Medicine”?